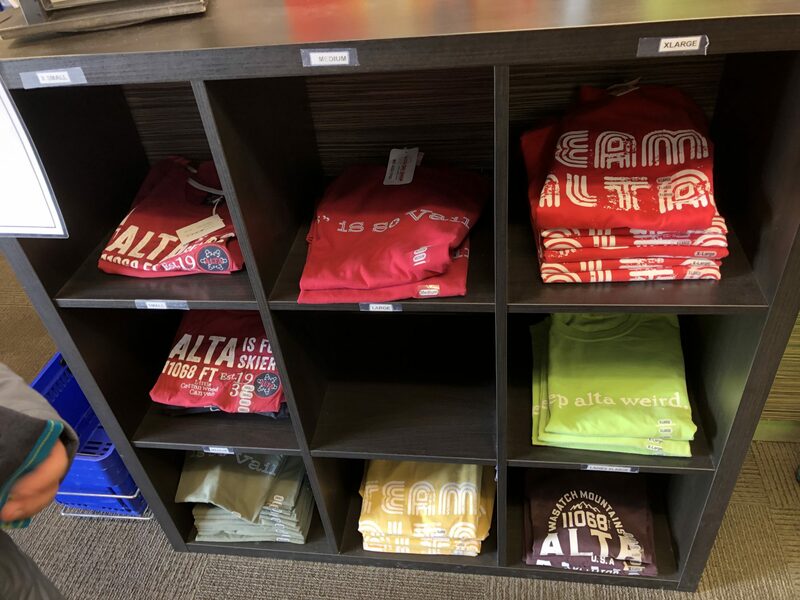 In 2007, Trampoline was hired by Alta Ski Area to design a series of shirts to be sold on-property in Little Cottonwood Canyon near Salt Lake City, Utah. Back then, the cost to design a T-shirt was around two hundred bucks. The series of designs that were produced included a particularly snarky headline that threw shade at a Colorado resort, implying that the snowfall at Alta was better. The shirts were a big hit, as the ski scene in Utah is very different from the vibe in Colorado, and the design pulled no punches. 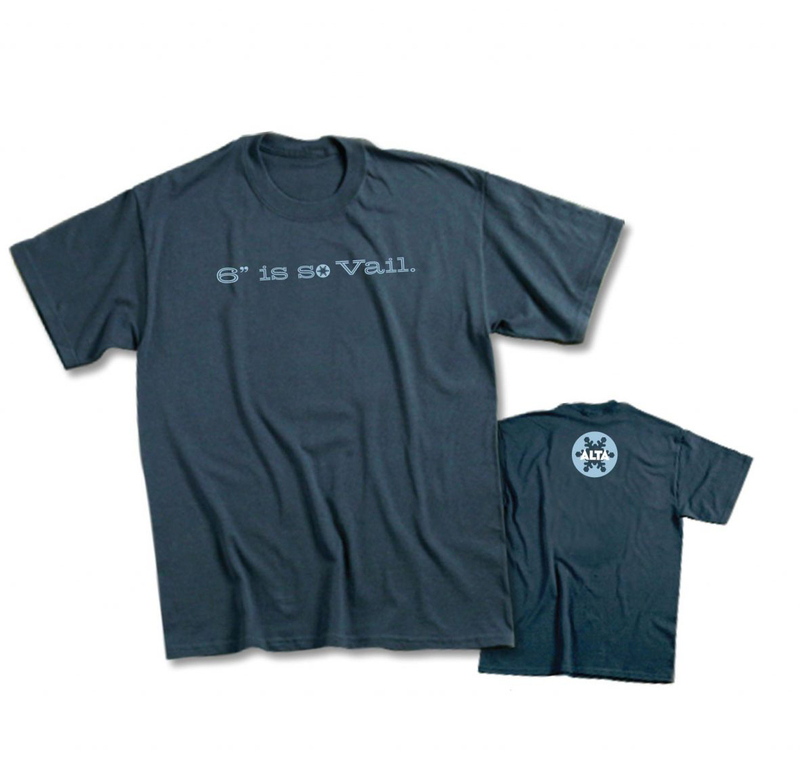 The following season, Alta re-ordered ‘the Vail shirt.’ John Duncan called us to confirm that the shipment had been delivered, the merch was tagged, and out on the retail floor. The phone rang again about an hour later. The store manager was on the other end requesting an immediate re-order. 72 shirts had sold-out in 45 minutes. Alta continues to produce the shirt (among others) 12 years later. Derek spotted it on the shelves just last month on a Utah ski vacation. It got us thinking about what Alta might have earned from a single design. To produce the 2-color design on a Gildan Comfort-Color garment would cost about $12 per shirt. They sell for $20 so if Alta ordered 300 shirts for the season (150 in two different colors) their net profit would be $2,400 annually. 13 seasons of $2,400 in profit adds up to $31,200. If you subtract the initial investment of $200 for the design, the return on that simple 2007 request (to date) is $31,000. See you on the shelves next season.